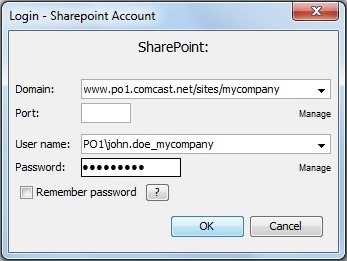 Q: How can I log in to my Sharepoint server with PDF Studio? I am getting the following error message: ‘login failed, check user name or password’. A: The most common error is when users try to use their email address to log in to the Sharepoint server in the same way that they would when logging in through a browser. PDF Studio needs the account name as defined under the Sharepoint User Information. 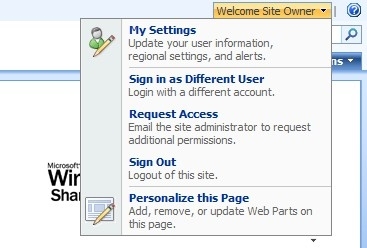 To access User Information, click on “Welcome” and the choose “My Settings” in the drop menu.